You can see Fame Forever which is the official sequel to the musical Fame at the Lyric Theatre in London for one night only on 8th September prior to a 2015/16 nationwide tour. The show was conceived and developed by David De Silva who produced the original movie. It tells the story of the characters 20 years on. With music by Steve Margoshes, composer of the original musical and book and lyrics by Ben H Winters. 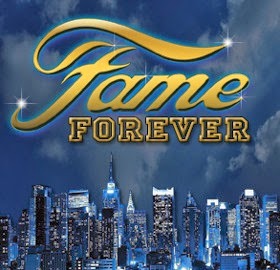 Characters featured in Fame Forever include Serena Katz, who is now an English teacher at the school and Nick Piazza (her high school sweetheart) who is now a very rich TV star. Tyrone Jackson has his own dance company, while Mabel Washington is a weather girl with her daughter at the school, as does radio DJ Joe Vegas. The 'spirit of Carmen Diaz', who died in the original appears to see "how life, her classmates and time have passed her by". The show includes a performance of the obligatory title track made famous by Irene Cara. Tickets will be on sale soon with casting and tour dates still to be announced.